I am slightly obsessed with paper chains. I don't know what it is, but they are one of my favorite DIY party decorations. I always love when people find really clever ways to make them even cuter and this football paper chain is one of those ways. 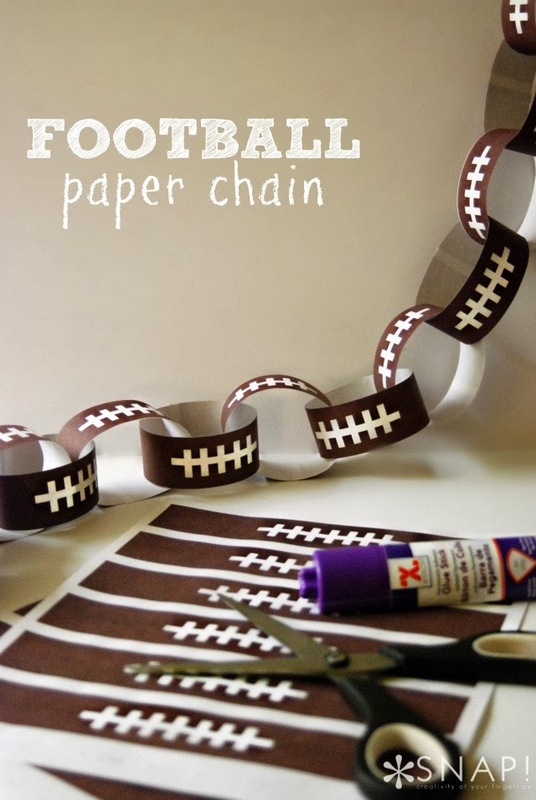 You can download the football paper chain printable over at The SNAP Blog to make one of your own for Super Bowl Sunday.